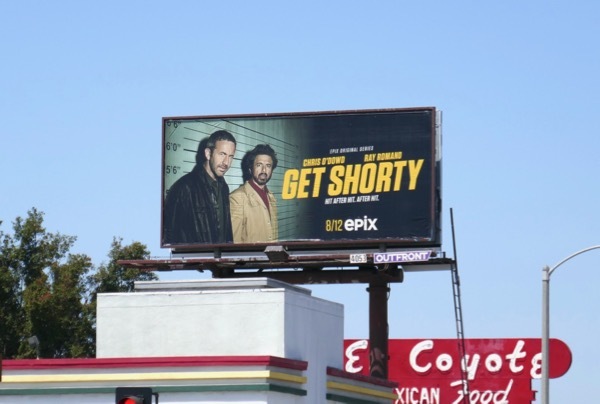 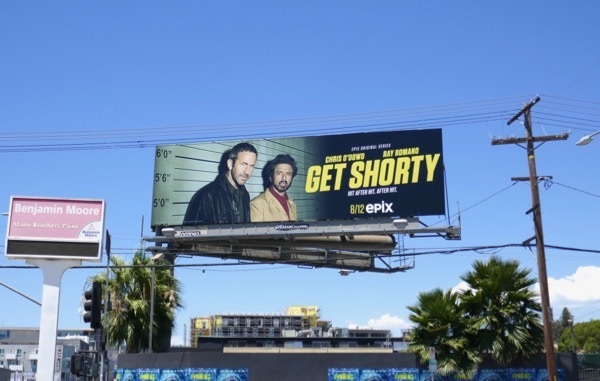 Unfortunately Epix's Get Shorty, inspired by the 1990 Elmore Leonard novel and 1995 movie of the same name, didn't received any Emmy nominations for its debut season, but the good news is the series is back for a sophomore season this summer. 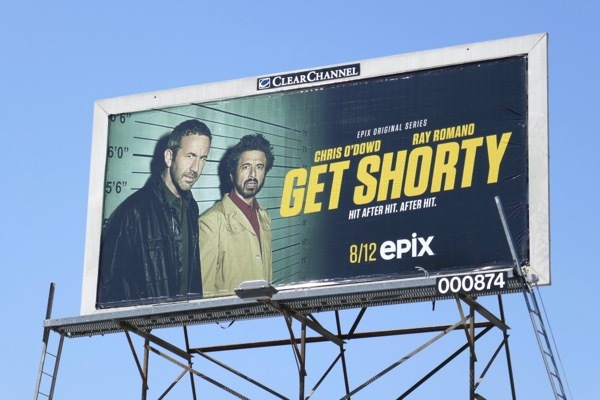 Chris O'Dowd returns as 'Miles Daly', the murderous thug breaking into the movie-producing business (whilst dabbling in some money laundering) and trying to leave the criminal world behind for the sake of his daughter with the help of Ray Romano's 'Rick Moreweather', the washed-up producer of low budget films, aiding his brutal new partner navigate the complex ins and outs of cutthroat Hollywoodland. 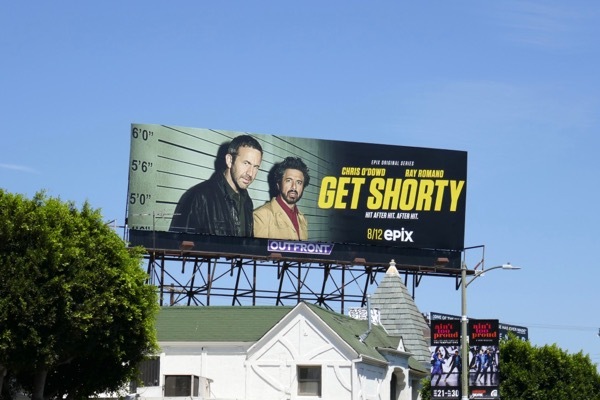 These season two police lineup themed billboards were spotted along Melrose Avenue, La Brea Avenue, Beverly Boulevard, Pico Boulevard and Sunset Boulevard from July 19 to August 1, 2018. 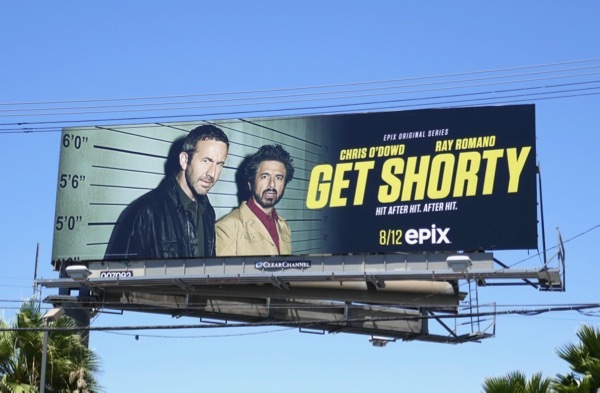 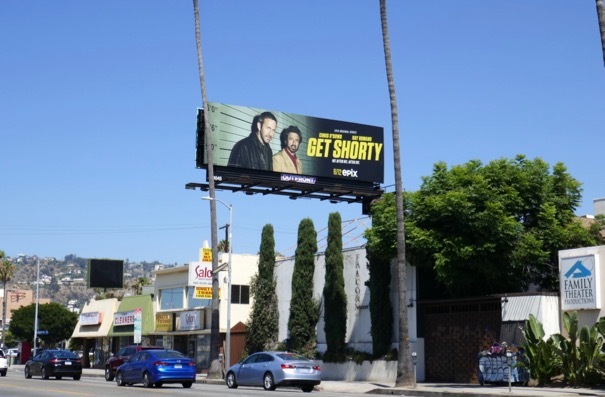 Fans of the Epix original show can also enjoy all these Get Shorty season one and Emmy consideration billboards, and for more Chris O'Dowd check out these Family Tree billboards from 2013. 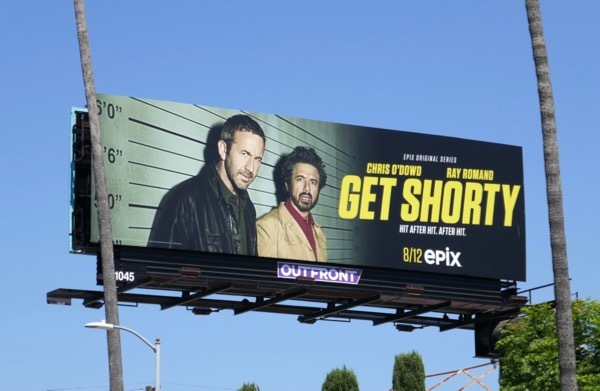 Just how many 'hits' does it take to make it in Hollywood these days anyway, asking for a friend.